Here's another gem from the cellar that deserves to see the light of day. 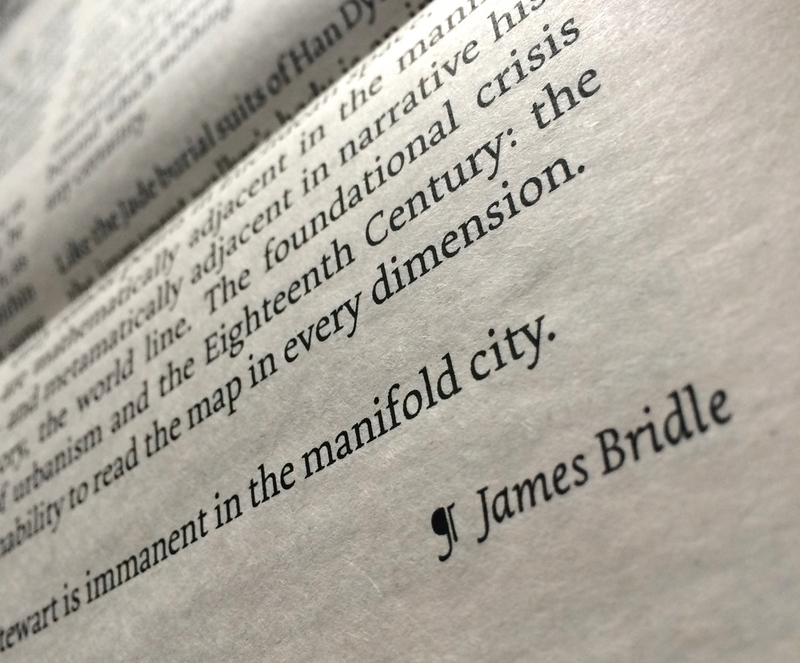 It's the very psychogeographically inspired Immanent in the Manifold City from James Bridle. 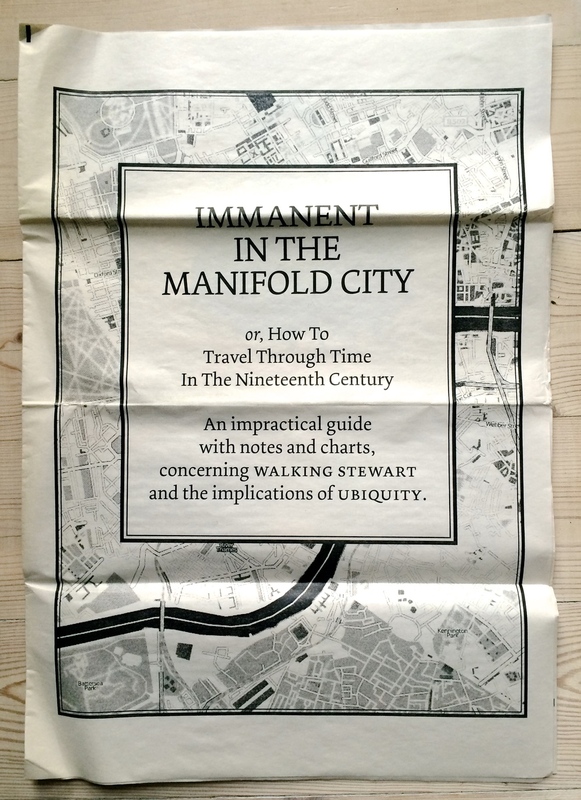 There's more than a touch of 'pataphysics at play here too, with the "manual of operation" enabling you to "form an instrument for investigating ubiquity". It's a wonderful weaving of the historical into a new narrative around place and time. A lovely piece. It's self published through the Newspaper Club. 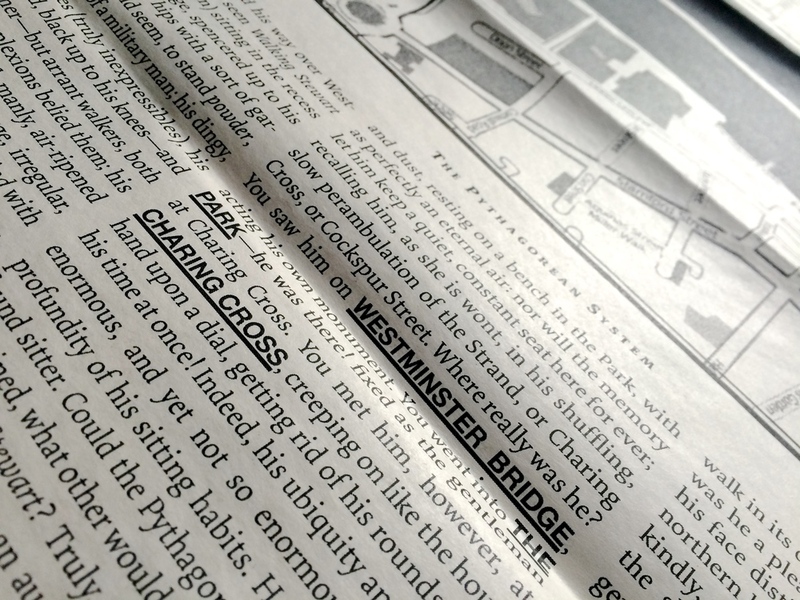 The club (really simply a service) enables anyone to create and distribute there own newspapers on glorious newsprint. Perfect for small runs and events. Great service and idea, more proof that print is not dead, as through technology it's becoming more accessible. Beats the hell out of trying to self publish on the photocopier or only digitally. Some things need to be held as much as read. Atlas Press are a small(ish) publishing house that specialize in avant garde literature. If it's Oulipian, 'pataphysics, Dada or Expressionist these guys are likely to publish it. I first found out about them when I discovered George Perec and the OuLiPo, and through their books I discovered the wonderful world of "anti tradition". I have a fair few of their books all of which are really inspiring and challenging but The Oulipo Winter Journeys is such a lovely edition I thought I'd post a couple of picks. 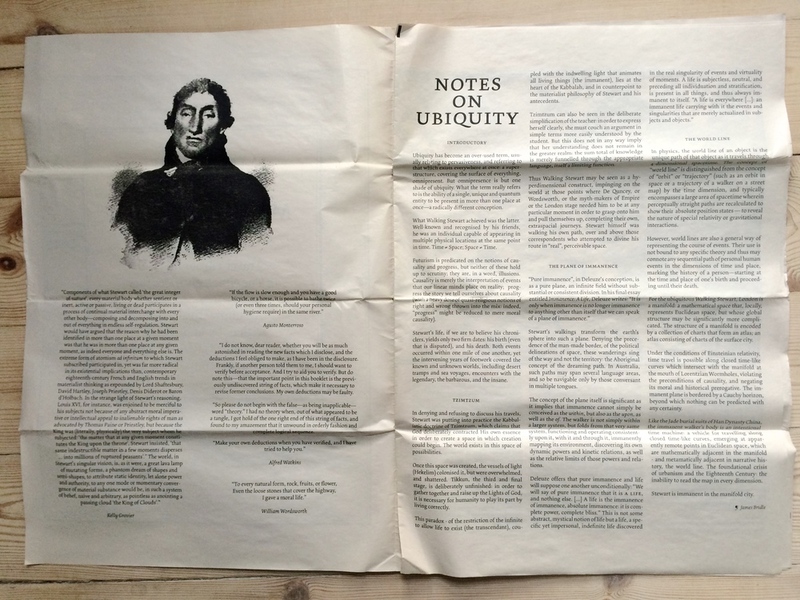 Some of the authors they publish include: Georges Perec, Raymond Queneau, Alfred Jarry, André Breton, Harry Matthews, Unica Zürn, as well as the output from the College of 'pataphysics. Atlas Press (http://www.atlaspress.co.uk), don't be put off by the poor quality site, the books are great.